As we grow older, the eyebrow and forehead are often first to show the signs of aging, most commonly in the form of loose or wrinkled forehead skin. Eyebrow and Forehead Lifting addresses eyebrow position, as well as loose or wrinkled forehead skin and underlying tissue. The endoscopic forehead and brow lift is a popular, minimally invasive procedure used to elevate the position of the eyebrows and forehead. It involves small incisions hidden within the hair, and leaves no visible scar. 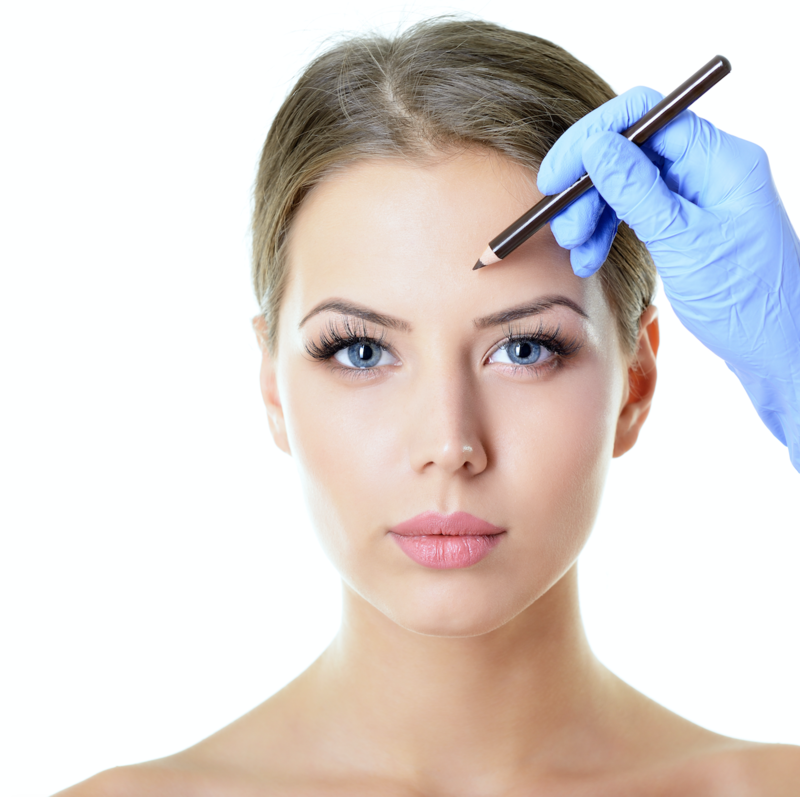 This procedure can lift everything from the hairline to the eyebrows, and can address eyebrow shape and asymmetry. It tightens and smoothens the entire forehead, and also lifts the eyebrow area, which “opens up” the entire upper face. Fiberoptic equipment is used to release and elevate the tissue of the brows. Some bruising and swelling is normal following the procedure, but it is minimal in most patients. Healing time is usually quick, and patients are usually able to return to their normal routine activities in about 2 weeks. The surgeon may prescribe medication, even though most patients experience very little pain after surgery. Your surgeon may instruct you to use cold compresses to keep swelling to a minimum. If a dressing has been applied, it will be removed within one to two days. Recovery usually takes two to three weeks, though many patients go back to work in two weeks. Scars usually fade over time and are not noticeable. Also, if scars are still visible as they heal, they are easily disguised in natural skin creases, by the hair, or, in persistent cases, by makeup until total healing has occurred. It is important to keep in mind that the aging process continues after surgery, and that some relaxation of tissues will occur during the first few weeks.